A welcome reception in the evening of 10 September 2013 will open the main conference. Prof. Dr. Ulrike Beisiegel, President of the University of Göttingen, is pleased to welcome the conference participants at the historical Old Town Hall (Altes Rathaus, Markt 9) of Göttingen. All participants are invited to enjoy finger food and drinks. An opportunity to register and to pick up the conference documents will be provided. 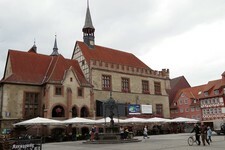 The Conference Dinner will take place on 11 September 2013 at 19:00 in the restaurant Bullerjahn (Markt 9, 37073 Göttingen). 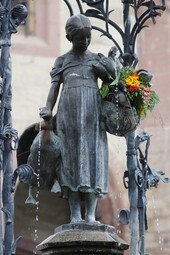 The Bullerjahn is the old 'Ratskeller' in the cellar of the old town hall and is located next to the famous fontain 'Gänseliesel' in the city center of Göttingen. The dinner gives ample opportunity to continue scientific discussions or just to get to know each other in a friendly atmosphere. Maps of the city center can be found on the Venue and Map page. 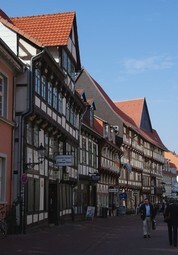 through Göttingen’s center. 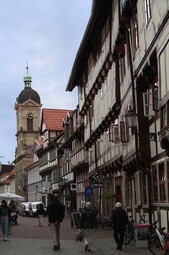 Meeting point is the old Town Hall (inside). Please also book a ticket (free of charge) in advance (until 5 Sept 2013) when registering for GCB '13.